The Francois et Mimi Multi-Compartment Bento Box is an awesome way to take your lunch to school, work, or even a day at the park. I love how the top has a small compartment for eating utensils, which are included. 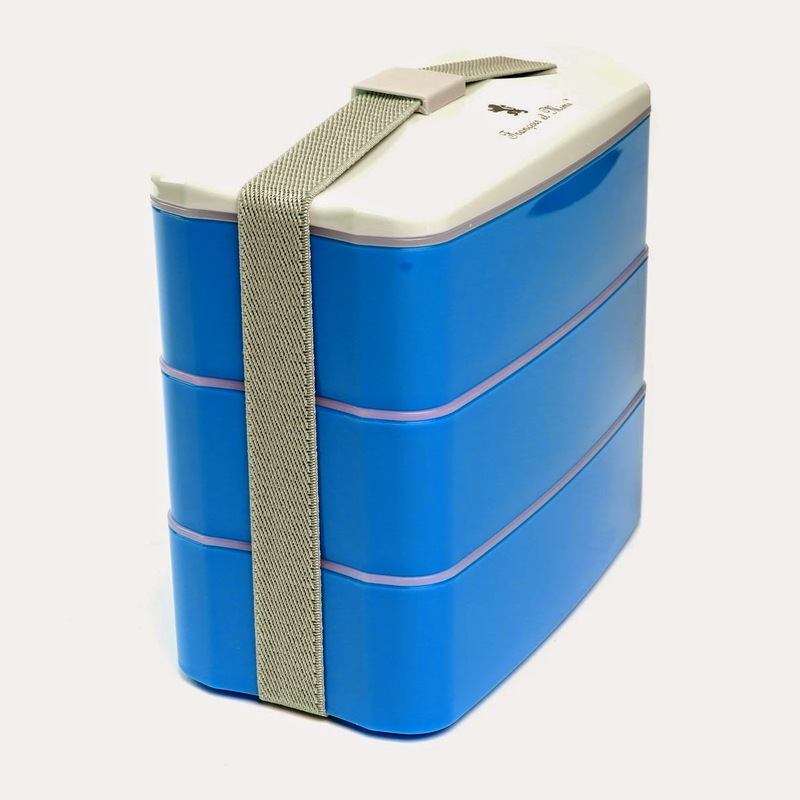 This Bento box has three separate compartments, that seal extremely well, and a strap that keeps them all together. The compartments are big enough for so many food items (A traditional Japanese Bento box usually features fish, rice, and cooked vegetables) to fit in and it's wonderful how you can separate each one if needed (as my youngest child does not like for some food items to even touch). While, there are so may ways to pack a Bento box, I enjoyed that the stackable compartments provided such easy storage and convenient travel. It fits perfect into the insulted lunch bag that comes with this product. Nothing is able to move or come out of place. Your artistic touches to your lunch stay intact. To learn more about this product or to order click HERE.